Making Summer Special: Join us for the Run, Walk & Fun 4 the Kids! Lace up your running shoes to help us make a difference for kids and young adults with special healthcare needs! ChildServe‘s annual Run, Walk & FUN 4 the Kids will be held Saturday, June 10, at ChildServe in Johnston. The event kicks off with a 5K or 1 mile run/walk perfect for setting a new personal best or enjoying a leisurely stroll with family and friends. After the race, our free Finish Line Festival includes a pancake breakfast, dunk tank, face painting, music, crafts, carnival games, and more! Kids of all abilities can join our free Children’s Fun Runs to earn a ChildServe medal. Register for the event by June 9 to receive the early registration pricing. Visit the Run website for other race details, and to see why this event is perfect for the whole family. Proceeds from the Run, Walk, & Fun 4 the Kids help fund ChildServe‘s summer activities and programs for children with special healthcare needs. By joining us for the run, you enable kids to join in typical summer activities like going to baseball games, the zoo, the pool, summer camp, Adventureland, and more! We’ve brightened up many summer vacations thanks to the Run, Walk,& Fun for the Kids. 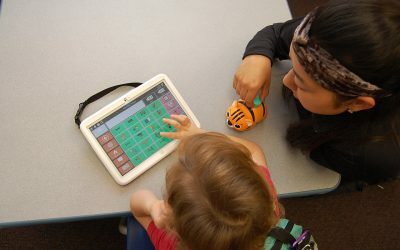 To learn more about what kids love about summer programming at ChildServe, read Jordan’s story. ChildServe’s 2019 Bubble Ball stunned from start to finish as over 90 local designers brought the “Musical Mashup” theme to life through their musical inspired bubble wrap creations. 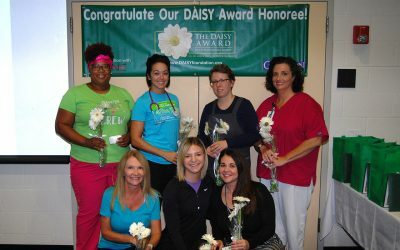 The DAISY Award celebrates the skillful, compassionate care nurses provide every day. Check out the 2018 winners.